Like finding a pine needle in a haystack seems difficult for any person, similar views will be shared by the companies when looking for the content writer. Finding a good content marketers is a tough question which needs to be answered by every sooner or later. Content marketing is a strategic and planned approach, which focuses on the distribution of the valuable, distinct, relevant and consistent content in order to generate profitable customer action that is profitable for the company as a whole. 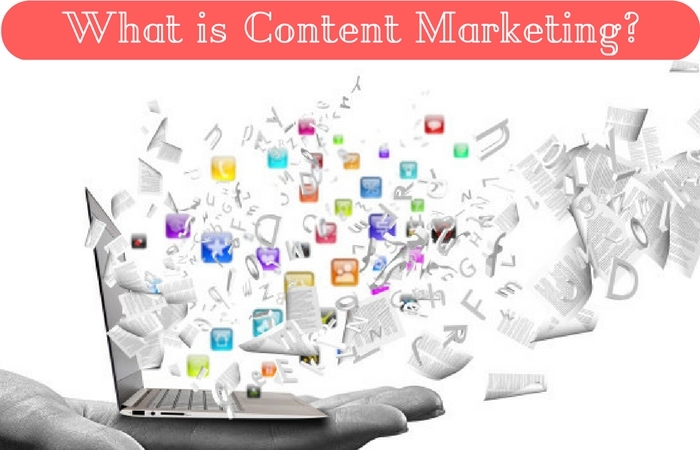 Why Content Marketing is Gaining Popularity? Content marketing focuses on the customer and not on the product or service. Nowadays companies focus on the customers and want to generate profitable action from their end as compared to the traditional marketing strategies. A company which has a content marketer may be looking for someone who can fulfill the needs of today’s time and take the content to another level. What makes a Great Content Marketer? When looking for the content marketer, be transparent and true to what you are looking for, because requirement for different content marketer is different and blurring. Be sure you are looking for someone who can design e-books or someone who can code interactive websites or who can drive the content strategy. Why hiring a good content marketer is difficult these days? The business world today, has changed drastically and so are the needs and requirements of the times. Earlier, building and executing a content strategy was a one man’s work, but today a company requires a team of intelligent, focused and trained individuals who know their job to the core. A company whether outsources the content marketing efforts or whether they decide to hire the team internally, it must comprise those trained individuals who are best at their job. If a company wants to be successful, then they need to hire those people who are capable enough to work in a variety of specific roles given to them. Having people who are jack of all trades will make it difficult for the company to get success in the future strategies. When looking out for the content marketers, what qualities shall the company be looking forward to? How to judge whether the person to be selected is the right choice or not? A content marketer shall have the below listed essential qualities to fit in the bill of the company. A content marketer shall be a great writer who can answer all the queries of the people and also be able to clear their doubts. Content writers today lack experience in writing and hence the job suffers. They don’t have the indepth knowledge of the work and so, they are not able to deliver informative and indepth article for the company. To deliver great content, content marketer shall have in and out information about the topic that has been given to them. A great content writer shall have the curiosity to search for the desired knowledge and always try to fulfill the requirements of the job. A content marketer must not only specialize in the writing but, also have to focus on the conversion of the chances to optimization for the company. A content marketer shall be able to tell story to all the people who go through their work. An ability of a content marketer to be able to tell story to others, makes him stand out in the crowd. A content writer no matter how much indepth knowledge he has, of the work he does, if do not have the idea about the requirement of the market, he will not be able to succeed. So, the content marketer should have complete knowledge about the market and its requirements. A content marketer shall be an organizer also because he will have to manage the content, the promotional layout, the deadlines and many other things simultaneously. A content marketer shall be able to analyze the data that he receives and at the same time depending upon the size of the company the marketer shall be handle the work load. And, lastly the content marketer shall love what he does, because only then he will be able to deliver what is expected of him. How to Hire Good Content Marketers? Every company wants to hire a team of good content marketers in order to achieve success for their company. So, here is the list of certain questions that needs to be answered while choosing the content marketer. 1. What does a person enjoys about the writing? When asked this question, always look for the enthusiasm and eagerness in the answer of the person. This way you can judge the eagerness of the person. A person who shows sign of personal benefits is likely to beneficial for the company. 2. How the person is able to create his own style, tone and way of writing? Every content marketer shall have his own style of writing and expressing the views. He shall be unique in his own style, but at the same time he shall also be able to make the necessary changes and apt to the required changes which suits the requirement of the company. He shall be able to meet the needs of the audience, the company and many more. He shall be able to make the desired changes when and where required. 3. Has content created by them educate and is of the interest of their readers? The content created by them shall be able to educate their readers and at the same time it shall be of their interest and keep the readers hooked to what they have read. The content marketer shall be able to tell stories, add humor and moreover he shall educate its readers about what he has to say. 4. Is there content been criticized in the past and how do they take it? While answering this question observe the body language of the person. This will help to know how the person takes criticism and tries to improve or not. Ask, for references and the corrections made by him from the past. 5. How do they align their topics? A content marketer shall be able to understand the market and the needs of the customers whom they are serving. This will help to identify the ability of the person to understand the requirement of the market and the customers. 6. How to decide on the topics and their formatting? This will help to analyze the ability of the person to generate new ideas and his ability to describe them. The person should have his own ways to generate new ideas rather than depending on the supervisor to tell him what to do and how to go about it. 7. On their first day in the company, what steps will the person take to develop the content market strategy? The answer to this question will be able to give a sneak peek into the personality of the person. You will be able to decide whether the person is able to make their own new set of rules or he will be able to adjust into already established system. This will help to make the necessary changes where and when required in the work process of the company. 8. What are the requirements to make content successful? While answering this question the person shall use the terms like traffic, repeated visitors, tweets and likes. This will give an in view of the thought process of the person and at the same time will be able to provide knowledge about their success in these areas. 9. How the content created is decided? The content created will reflect the thought process of the person. An ideal candidate will talk about the trending topics and industry related news. He will also suggest using Google Adwords to drive maximum traffic for the website. Thus the market awareness of the candidate can be judged through this process. 10. Once the content is published, how do you promote it? The answer to this question will help to identify the promotional techniques of the candidate. An ideal candidate will be able to lay down a complete marketing strategy to make the content a complete success in the market. He will suggest to, share it through different social media accounts, re purposing it through newsletters. 11. How to know if the content is successful or not? Only writing and sharing the content is not enough. A content writer shall be able to measure the success of the content in the market and shall lay down strategies for the same. 12. Was there any obstacle in the way of performing work and how he has overcome it? This will highlight his ability to deal with the problem faced and ways to overcome it. 1. Only great adjectives in the application make good content marketers. They shall have the desired training along with the experience. 2. How their past blog on content has been beneficial for the company and has added to the performance of the company. 3. Since it is a new field, the applications shall be reviewed properly before the final selection. 4. Recommendations from the existing employees shall be considered. Keeping the above recommendations will able to generate a trained and desired work force. By assigning assignments and tasks, a candidates ability, his competence and whether he will be able to fit in the company or not. A real world project shall be able to judge the candidates ability to analyze the market and the way he handles it. Judge the candidate on the basis of his creativity, his ability to lead, does he meets the deadlines, strategies he makes and other factors shall be taken into consideration. This will help to make the correct choice for the company and further proceed with the work. The average salary of the content marketer ranges from, $60,000 to $ 74,000. If the candidate is a beginner then it will be $60,000, but if content marketer is part of the job title, it will range up to $74,000. The salary for the content marketers include share from the bonuses and also profit sharing. They also enjoy medical and dental coverage. To make the content writing team, people need to be hired and the annual guide which is a salary guide provides the range of salary for each position. The salary of the candidates in the content marketing also depends upon the potential shown by the candidates through their work and the results achieved. With the popularity content marketing is facing, it has become difficult for the companies to create such a team that fulfils all the requirements. This person is the one who has the vision and he is the one who lays down the strategy. This person is responsible for the daily working of the team. They bring life to the content. They make the content beautiful and add value to the content. They listen to the customers, prospects, influencers and competitors. Whether hiring a single content marketer or a team, it is always a difficult job for the company. But, with the right approach and the correct objective the company can always select the best from what is available to them. So, just go and do it. All the best.